But what other options are there other than Hostingsonar? If you are a looking for an alternative that can give you solid and reliable advice on which hosting provider to choose, here are some good options. Hosting Facts started off as a small group of friends who wanted to hold hosting companies accountable. They do reviews of companies four times a year, because they know that things change, and can change quickly. Unfortunately, there are many cohosting providers out there who are trying to make a quick buck and don’t want to provide a real service. Hosting Facts is trying to eliminate that problem and wants to bring genuine reviews from real people – reviews that are never paid for by the hosting companies. Hosting Facts looks at data and metrics to find the best hosting services out there. They look at speed, uptime percentage, and the cost of the top hosting companies so that you can choose the best hosting environment for you. 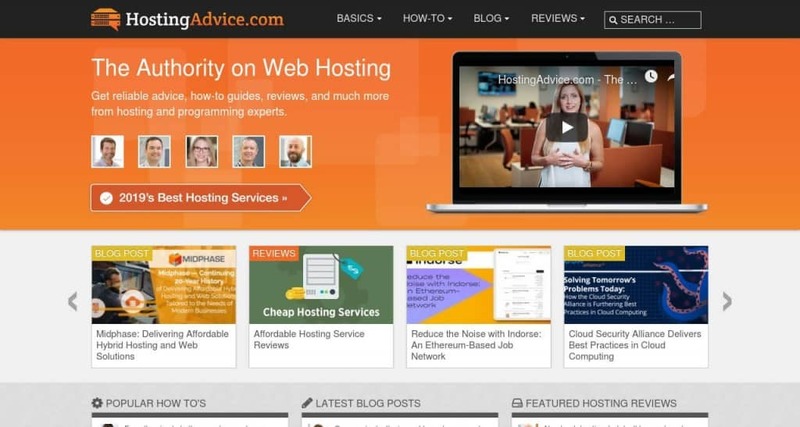 There are more than 330,000 web hosts, and while Hosting Advice doesn’t review all of them, it does come pretty close. 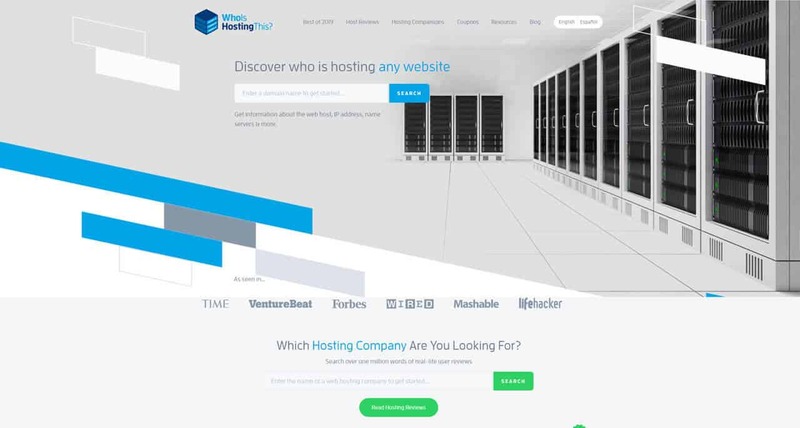 This website goes above and beyond and really breaks down the pros and cons of each hosting provider. It doesn’t matter if you want to start a hobby blog, an online store, or you are a teacher trying to find free web hosting, Hosting Advice has laid out exactly what you need to know. For beginners, they can help you choose the right hosting package based on your individual needs. Who is Hosting This? 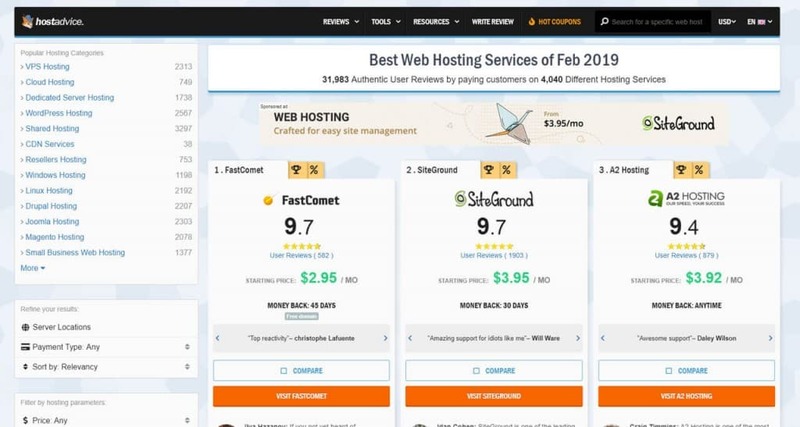 has a team of specialists with experience in programming and content management who reviews and test the top website hosting providers to see which one they think is the best. They compare features such as uptime guarantees, free add-ons, security, and various requirements. The hosting comparison site looks at operating systems, hosting type, web servers, languages, and specialty hosting. No matter if you need a specific application or CMS, Who Is Hosting This? can help you find the right hosting plan for you. 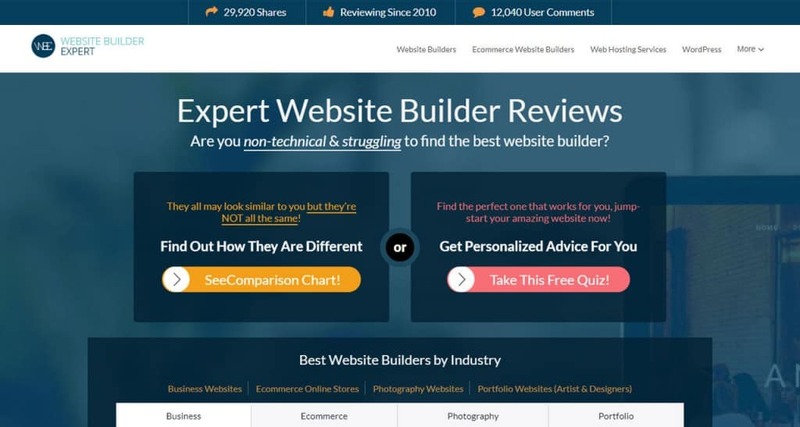 Don’t let the name deceive you – Website Builder Expert does more than just review builders. The site is run by a husband and a wife who has several hundred hours of practical, hands-on experience which they put to use in their advice on websites. The duo knew how hard it is for people starting a site is, so they are here to help. Trying to build a Joomla store? Or trying to start a blog? WBE can walk you through the process. 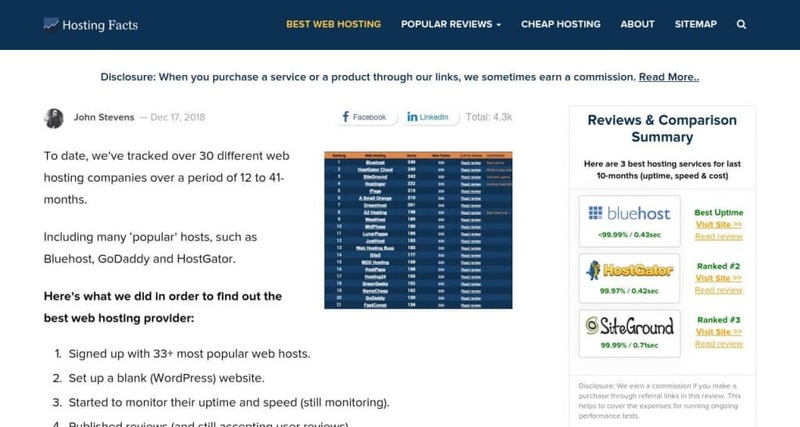 They give unbiased reviews to help you find a hosting plan that fully meets your needs. 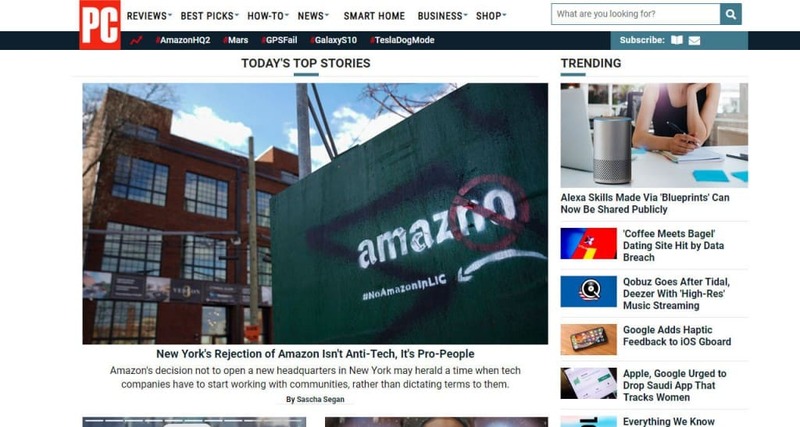 PCMag does a lot of things well, and one of those things is review hosting providers. It is a big company, and it provides in-depth analyses of different hosting providers. Their site is well-organized and makes it easy to filter the results to find a hosting provider in your price range or ratings. Every year, editors recognize their favorite hosting providers. HostAdvice really breaks it down for you to assist you in your search for a new hosting environment. You can filter your search by the operating system, hosting type, language, and even where the server is located. For people who are looking for the best resellers hosting provider, or even DDoS Protections Services, HostAdvice can provide in-depth reviews from real customers and users. They also have a team of experts who test and review sites to show you which are the best for your needs. 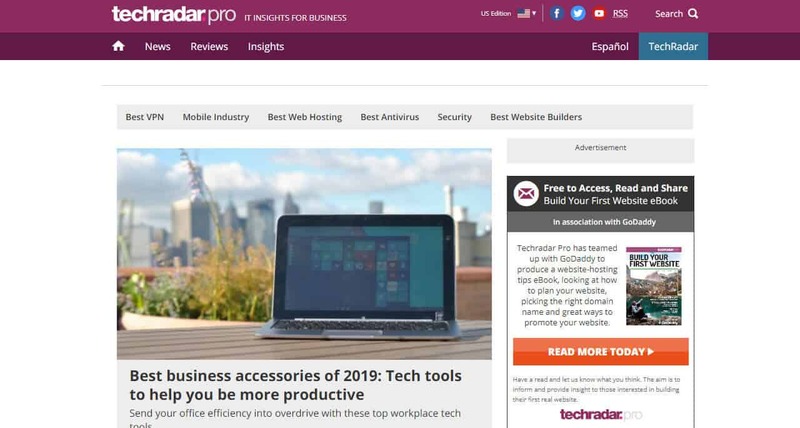 Techradar.pro aims to help you find the best prices from reliable retailers. If you are looking for a site that can help you find website hosting that is reliable but won’t cost you a fortune, then consider TechRadar.Pro. The company started off in the UK but has since expanded to the US and Australia. 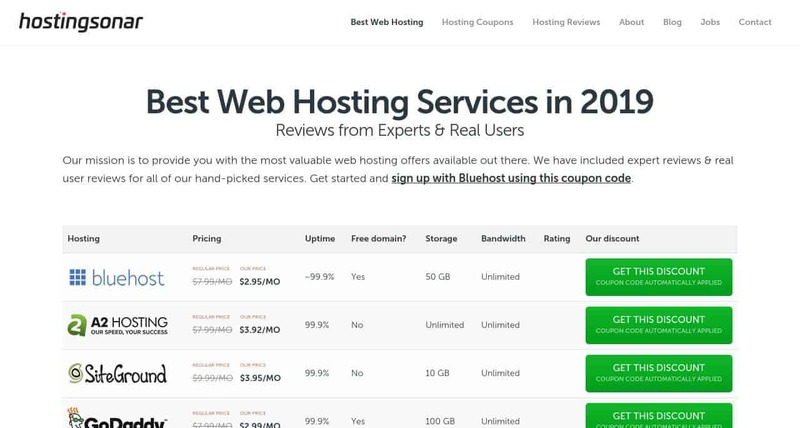 The team of experts test out both old and new hosting companies and bring their honest opinion every time. There are tons of options out there when you are choosing a website hosting provider for your site. As you can see, there are many reliable resources out there that can assist you in your search. If you are still confused about what exactly you need, you can watch this Youtube published by PCMag that walks you through what you need to know about shared, dedicated, and VPS web hosting. No matter if you are an experienced developer or brand new to website development, pages like Hostingsonar can help you find the right host for your site.